Good Monday Morning! Thanks for stopping by! We took a trip to South Carolina this past weekend. It was fun but it's nice to be home. I didn't manage to finish a book last week, but I got close! First Daughter by Eric Van Lustbader ~ I'm very close to the end, but just couldn't finish it last night. I haven't read any of these books, but I look forward to hearing more about them! I haven't read any Eric Van Lustbader yet but I think I should add to my TBR list. What a fun week you have coming up! 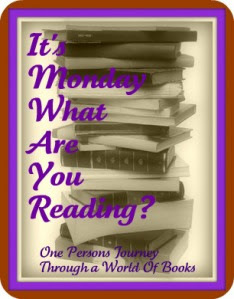 I love the Weekly wrap up of your children's reading! I'm definitely going to check it out as I do a lot of reviews from my own kids' point of views. I like that you list what your kids are reading too! That is so great! Have a good week!